When I said that Fox could send the Chipmunks away on a deserted island and leave them there I had no idea they would take the idea seriously. 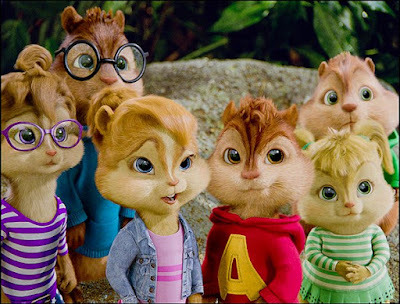 After the previous film in this series I was ready to abandon the Chipmunks somewhere and forget about them. Guess someone at Fox agreed with me because we now have “Alvin and the Chipmunks: Chipwrecked,” which places Alvin, Simon, and Theodore on an island and lets them “forge.” Of course this is going to be easy since they ARE wild animals, but the Chipette's (particularly Brittany) cause problems because now that they are domesticated they have lost their taste for wildlife living. Another person who is shipwrecked on the island is a crazy woman who has a collection of sports balls and names them after their company brand name (in a not-so-subtle nod to “Cast Away”). I suppose the humor of the movie is supposed to be how the critters all act differently once they are away from home. Sadly, even this is put to waste as the jokes are the same lowest common denominator jokes we got in the previous film. 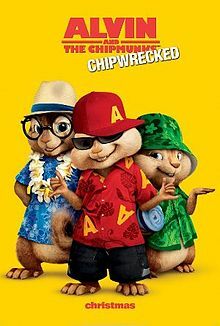 And (like the previous films) the Chipmunks do little more than sing popular pop songs at random times (though I do admit that them singing Lady Gaga's “Bad Romance” is more humorous then you'd think). The final storyline involves Dave (Jason Lee) trying to find his “kids” with former record executive Ian (David Cross, who is thanklessly in a large chicken suit the whole time). Without getting to the end of this review you can tell “Alvin and the Chipmunks: Chipwrecked” is not a good movie. I suppose it's better than the last film, but not by much. The film is still lazy and sloppy, with no creative energy in the scenes or intelligent jokes in the script. It's a total wash of a film, and even more so when you consider “Hugo,” “The Muppets,” “Arthur Christmas,” and other great family films are playing in theaters at the same time. 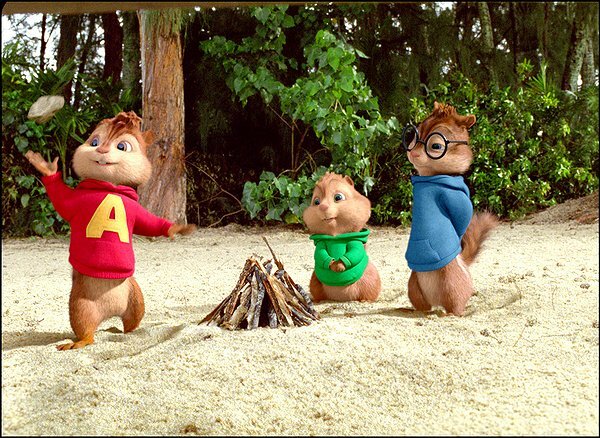 Now that the Chipmunks are on this island though, maybe parents will be smart enough to pass on the film and just leave them there. Parents have nothing to worry about with this one. Recommended for all ages.